Every time Jewel Brister gets on Candy, she knows she’s going places. After several trips to the winner’s circle over the years, and six trips to the national high school rodeo finals, the Dalemead barrel racer is now really going far with her beloved horse Candy. 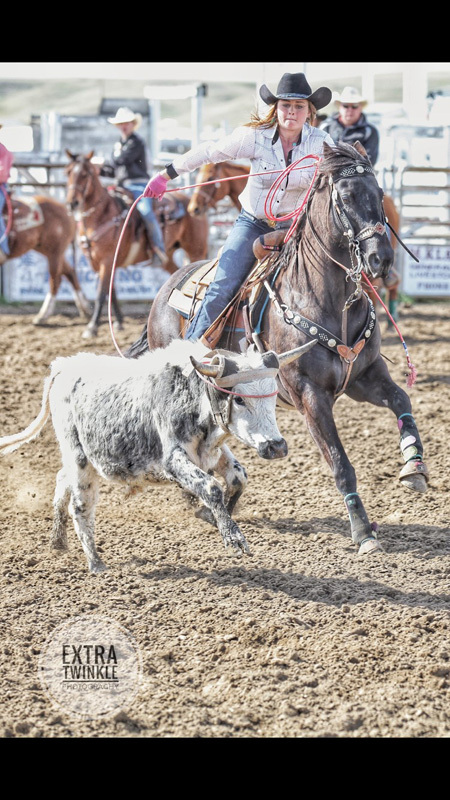 As Brister gets ready for the Alberta high school rodeo finals this weekend in Ponoka, she is set to embark on a bigger adventure in the fall. Thanks to Candy, she’s earned a full ride scholarship to Ranger College to pursue cosmetology. This looks to be a big summer for the 18-year-old. 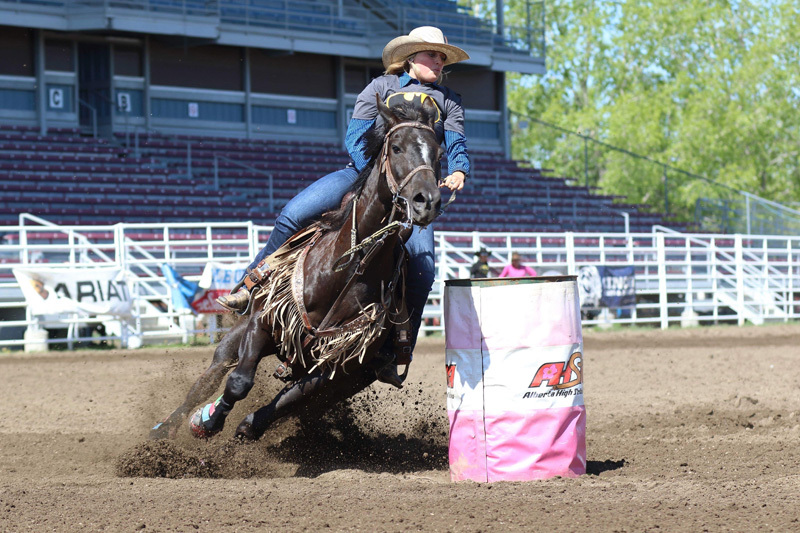 Sitting well in front of the provincial barrel racing standings, she expects to make the national high school rodeo finals in Rock Springs, Wyoming, in mid-July and then hopes to qualify for the Canadian high school rodeo finals in Merritt, B.C. at the end of that month. Then by mid-August she will be headed south to Texas with both Candy and her secondary horse Seagrums, which she uses for roping. She’s getting a full ride to Ranger College, where she will compete on the college rodeo circuit. Brister is a bit unique in that she doesn’t come from a big rodeo family. It’s a sport usually passed down from generation to generation, but that didn’t happen with young Jewel. She has since got her brother involved in it as well. “I was the first in my family to compete in rodeo,” Brister said. “My mom has had horses but never actually competed on them. When I was little I started trick riding and then I went into rodeoing. Brister took to it immediately obviously, but it wasn’t until she started with Candy that things really took off. “My first year qualifying was in Grade 6, and I’ve qualified every year since then,” Brister said. “I love it. It becomes a big family. You rodeo with these people year-round. Brister will be competing in roping, barrel racing as well as poles in Ponoka. It’s a lot of work over the three-day event, but she’s excited for the competition. “My main focus is on my horses but whatever event is up next is what I focus on,” Brister said. “I try to stay 100 percent focused on that. Pro rodeoing will be in Brister’s future but she’s not entering any this summer as she gets ready for school. Next summer might be a different story, because like most barrel racers from this area, she would dearly love to be racing through the Stampede infield at some point. “You have to be pro rodeoing and then you get invited, Brister said. “It’s been my biggest dream, to barrel race in the Stampede.